Party after the gala dinner at the Hotel Indigo in East Liberty! 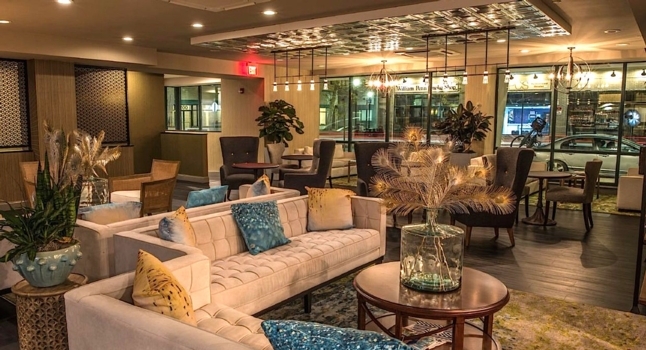 While you have many hotel options in Pittsburgh, including 5 reserved for our reunion, we are encouraging people to stay at the Hotel Indigo in East Liberty Saturday night. After the reunion, some people (whether booked at hotel or not) plan to hang out in the hotel bar for a while; they close at 1 or 1:30am. We do not have the bar reserved-this is a very casual plan. If we end up with more people than space available, we can always move the party to Kelleys or another local bar! Mr. Fisher will be our special guest at the reunion on Saturday night, July 15th! I thought everyone would get a kick out of this video of the greatest principal ever and that it gets you excited for our biggest reunion ever! Mr. Fishers Family Highlights from Bruce Michael on Vimeo. Boz Scaggs will be performing for FREE at Hartwood Acres, Sunday evening, July 16. Get a group of Dice Classmates, a picnic dinner, wine or beer and listen to the sound of the 70s! Here is the schedule from Boz Scaggs site and see the Hartwood Acres site for more about the beautiful 629 acre former estate where you can spread out a blanket and enjoy the concert. Be sure to look at the Hartwood Acres Park Amphitheatre (not the south park amphitheatre) for confirmation of the Boz Scaggs date during the Summer Concert Series. The Vintage Grand Prix will be going on all week, including the weekend. Take a look to learn more about this fun event. An amazing but lesser known fun experience in Pittsburgh is at Randy Land on the NorthSide. Steps from The Mattress Factory on the Mexican War streets, experience this unique and dynamic outdoor art installation site and meet Randy Gibson, the neighborhood personality and artist. Be sure to visit the Andy Warhol Museum, the global keeper of Andy Warhol's legacy. For museum hours and information, go to http://www.warhol.org/. Although not an official part of reunion weekend activities, many classmates have indicated that they would love a visit to Kennywood, so we've posted this link for anyone who wants to purchase their tickets in advance. Just click on the Kennywood sign!